Avantex have been helping organisations since 2002 in discovering their equipment, either manually, or via automated processes. For those customers who strive for 100% accuracy, Avantex provide staff that will physically check the relevant details of every piece of equipment (make, model, serial number at a minimum) and the location. We have existing systems for discovery, but they don’t capture everything. There is no silver bullet, but we believe that the only way to discover all of the assets (and we mean ALL) is to physical site them. Yes, this may seem time consuming, but it is the only way to verify exactly what you have onsite, is switched on/off, is in what rack/location. Yes, we would be lying to say that auditing is a zero risk activity. However, working with our customers, obtaining Work Permits and Change Control, or even working after hours and/or weekends minimises the impact on organisation. At the end of the day, if the audit causes a cable to ‘pop out’ of the jack, then it’s better that it is discovered in a controlled fashion with the appropriate procedures to notify the affected owners of the equipment. For those customers who strive for 100% accuracy, Avantex provide staff that discover and document every single cable within the building, site or campus. This discovery may include external plants, or pits within the complex. Organisations may or may not have accurate records of where both ends of the cable (fibre or copper) may terminate, so Avantex will ensure that every cable is physically accounted for during the audit. 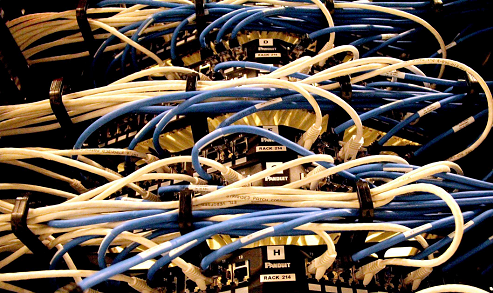 We really understand cabling. In fact our sister company Syndeticom who is a Global Lantro Partner has been designing and installing cabling for leading data centres and organisations for over 20 years. In our experience, most organisations over the years find numerous mistakes with their existing spreadsheets and other sources of data once a physical audit has been completed. Avantex are also able to provide a unique barcode on both ends of the cable (with the same barcode value) and its source and destination are recorded either in to a database, or existing customer system (such as CAD, spatial planning software etc). Do you trust your existing records and as-builts? Can you put your hand on your heart and say that your documentation is accurate? If not, what does that mean for your organisation when you have an outage? Are you staff having to tug-n-trace cables time and time again, as they have no faith in the documentation for your sites? Avantex have worked with organisation in all fields to audit and ensure that the cabling records are 100%, and stay that way! There are quite a few companies that will happily take your money and send staff to site to provide you with a static audit, mainly in excel or another system. Speak to Avantex on how they can provide you with a 100% accurate audit, in a system that can be updated as-and-when changes are made. Are the scanners really worth the money? Yes. As they say, you pay for what you get. There are large amounts of scanners on the market, however, Avantex has chosen to supply and support the Motorola range for several reasons. Since supplying the MC50 in 2002, we have only had two scanners fail. One was due to a tile being dropped on the screen! There range is extensive, and we have been able to find a model to suit all of our clients needs. There is one major reason that most courier companies around Australia (including Australia Post) use the Motorola range…Reliability. As a result, we are able to offer development services that enables our clients to link Cormant-CS to other systems, such as Remedy, Openview and ServiceNow to name a few. We have worked with local vendors and already have in place links (created with ‘middleware’) that enable our customers to create work order in Cormant-CS via their own internal systems. Can one system do all we want? That’s an often asked question, and in most circumstances, the answer is No. However, it’s not all bad news. By having ‘open’ systems, there is a way for systems to ‘talk’ to each other and share data, thus removing the ‘human error’ factor. We have worked with many organisations in helping refine or improve their current practices to ensure that they are working optimally with the software and hardware they currently have deployed. From multi-site with well over 1,000 racks worth of equipment, to smaller single sites with as little as 8. Most organisations have some kind of record keeping. It could be in a simple spreadsheet, or a fully developed CMDB system. Avantex will work with your organisation and have the ability to be able to import data in to your database in almost any format (flat file, csv, xls, xml). The information that is imported can be as simple as the make, model and serial number, and with this information, along with the strong auditing tools, Avantex are able to build a 100% accurate database of assets. It doesn’t have to stop there. If your organisation has other information, say Warranty Details, or purchase information, this too can be imported and stored in the central location. Do you worry about the cost, and more importantly, the results of rolling out a new system? Our own internal and external research points to the deployment of a new product as the biggest perceived headache and delay in purchasing and rolling out any new system. Avantex understands this, and we have worked with many organisations in Australia and abroad to ensure that not only is Cormant-CS deployed correctly to suit your organisation, but that you have measurable targets to ensure that you are receiving your ROI. Avantex have worked with many organisations to tailor suit a database design to suit their needs. Not every organisation requires the same setup, use the same equipment, or even speak the same IT language! Avantex will work with you to ensure that you get to choose the details you want to record in the database, and have the ability to change them along the way if required. By looking at your other systems, the equipment make and models, your cabling infrastructure (if required), your database will be an accurate representation of what you have in the real World, with relevant attributes (fields) that make sense to your organisation and staff. Power and Cooling, probably the hottest topics (pun intended!) of 2015 and beyond. With the ever increasing threat and realisation of power pricing hikes, most organisations are trying to find ways of tracing their usage, and more importantly, reducing their power consumption where possible. Avantex are able to help track and live record power utilisation from a variety of platforms. By utilising the Cormant-CS DCIM suite, live power information can be ‘polled’ from IP power rails, PDU’s, or even directly from servers and switches. 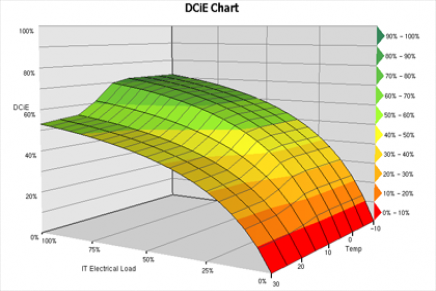 Organisations can calculate their PUE (power usage effectiveness) or their DCiE (data centre infrastructure efficiency) directly within Cormant-CS with the click of a button. Moreover, the historical values can be automatically saved and historically reported on. 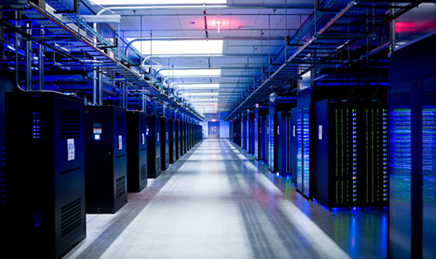 Once the power is recorded, it can be historically mapped, at the entire data centre level, the row, rack or device. Further, Avantex are able to map and record PDU’s and Breaker information, phases, loads etc from Distribution Boards, captive outlets, or even right the way back to the UPS’s and generators. Do you know what equipment uses what power? Irrespective of having equipment in your own site, or a co-location, power is one of the major costs of any it infrastructure. By understanding your power utilisation, at either the row, rack or equipment level is critical to planning the future cost savings and consolidation for the equipment that you are responsible for. Do I need to care about both Power and Cooling? Yes! You need to understand the amount of power that is being ‘consumed’ by your devices to work out how much cooling is required in the DC, and where. You also need to know what power is being utilised or allocated to a rack to ensure that PRIOR to any new device being installed, the circuit breakers can handle the extra load, not just running load, but in-rush. Whether you have the best policy and procedure in the World, at some point, most organisations need to review what and how it is being done, and can then determine if it is being done optimally for the current environment. It is highly recommended that the only way to improve on Policy and Procedure is to take a snap shot of what is currently being done. Via Process Mapping, Avantex have worked with many organisations in determining how tasks are currently performed. Only once this has been completed, can you then look holistically at your departments’ effectiveness and determine if any of the process and polices need fine-tuning (or complete overall hauling!) to get the most from your staff, budget and time. Every system we install seems to get out of date. Why? Mostly because of one reason. People. We’re not saying that your staff are bad, but in most circumstances review (or re-inventing) your policy and procedures is the solution. Sometimes it takes a look from outside the organisation to help in this area, and we have the right people to help.